MiraCosta College presents multi-platinum and Grammy award-winning producer, engineer and mixer Ed Stasium for a lecture/symposium, “The Art of Recording,” on Wednesday, March 11, 2 to 8:30 p.m. at the MiraCosta College Oceanside Campus Recording Studio (Building 1200), 1 Barnard Drive, Oceanside. During the lecture/symposium, Stasium will relate his experiences in the recording industry to the present state of the art in addition to a workshop on recording drums. Stasium hails from New Jersey, where he became interested in tape recorders and guitars as a young child. 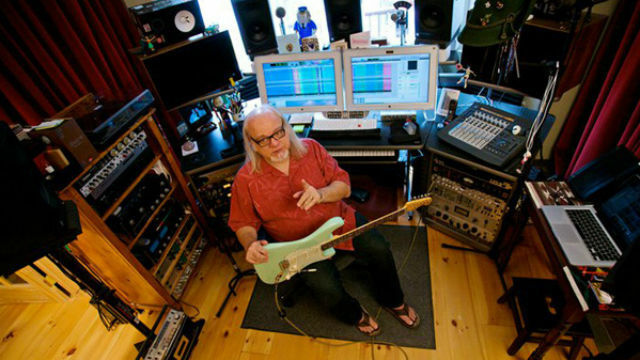 In 1971, his band Brandywine signed their first record deal with Brunswick Records and it was during recording their first record that Stasium became interested in the production and engineering side of music. Stasium has recorded such diverse artists as The Ramones, Talking Heads, Mick Jagger, Jeff Healy, Living Color, Soul Asylum, The Smithereens, Peter Wolf, Motorhead, Marshall Crenshaw, Gladys Knight and the Pips, The Misfits, The Reverend Horton Heat and The Empty Hearts. For more info on Stasium, including his discography, visit edstasium.com. The seminar will begin with a lecture from 2 to 4:15 p.m. and conclude with the drum workshop from 5:30 to 8 p.m.